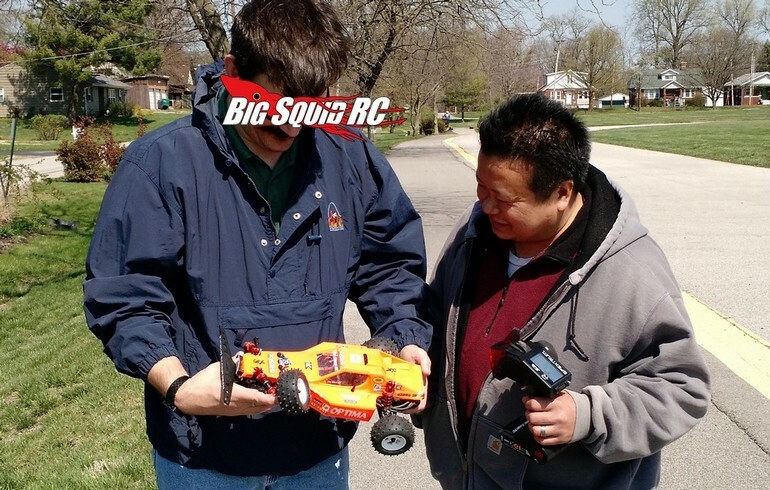 THE Cub Report – This Week In The RC Hobby « Big Squid RC – RC Car and Truck News, Reviews, Videos, and More! So ya, literally the “biggest” news from last week was Primal RC dropping their ridiculous 1/5 Raminator Monster Truck. The scale monster truck scene (monster trucks that are solid axle and attempt to look perfectly scale) has been making ground for a few years now, no doubt this giant Raminator is going to help add some flame to that fire. The Primal crew dropped their new MT at the AMA East show in Jersey over the weekend, pre-order pricing is set at $2,699 and they are expected to start shipping in August. So ya, the Primal has a price point over $2,500, which is no doubt steep for most people, but there are a lot of hobbyists that do have an extra 4 digits laying around. The truck itself seems to be a great statement of American “Bigger is always better!” as it comes in at 40 inches in length, and weighs in at a whopping 80 lbs. The Primal crew has bolted in some serious power with a motorcycle based 49cc two stroke reed/valve style engine, and from a short look at it on video, it seems to have decent, but not insane, power. Time will tell how many big hitters will break out the checkbook on the Raminator, but I can’t wait to see a bunch of them out crushing cars at some rc event later this year. Props to the Primal crew for going big and putting out a truck that will make big waves in our industry. Another big release last week was the Axial Racing Can-Am Maverick X3 (Yay, I can talk about Axial again!). As a Maverick X3 owner, I was pretty stoked to see the little beast. Now, I think a lot of people would rather have seen the Can-Am in a larger form factor, but as is, it isn’t as tiny as you would think, and it has been working well for us out on the trail. The Can-Am also comes with a solid rear axle, which isn’t scale, but I would guess was needed to make its extremely friendly $149 price point. The BSRC bash crew are big fans so far of the Can-Am, but admittedly would love to see it at 1/10th scale with even more scale detailing. The UTV rc market is another genre on the rise, we can’t wait to see more UTV releases as the year goes along. Lastly, the crew at Pro-Line dropped a ton of new gear late on Friday. From an all new builders series crawling body, to a pair of new drag race bodies, the P-L crew has a ton of new gear dropping next month. Watch our front page for all the new product goodness! Get out and support your local hobby shops and bash spots whenever you can!